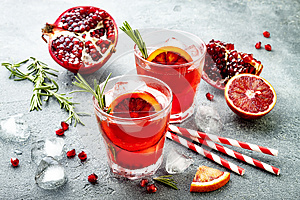 Photo title: Red cocktail with blood orange and pomegranate. Refreshing summer drink. Holiday aperitif for Christmas party.